Continuous improvement in business is about more than just a set of operational principles to increase efficiency. It is a mindset, and a coprorate culture that is always geared towards finding better, more innovative solutions… Read more. Lean Six Sigma is a management methodology that was proceeded by the ‘The Ford System’ and the ‘Just-In-Time’ (JIT) system that were developed to increase value in automotive manufacturing. Henry Ford developed the ‘The Ford System’ for producing the Model-T… Read more. As an Engineering Manager at NorthBridge Consultants for over five years, Henry manages a team of government funding specialists and assists clients in various industries such as automotive, plastics, tool and die, civil engineering, pulp and paper, oil and gas, and food… Read more. Over the last century, Lean Six Sigma management principles have been successfully adopted by numerous companies of varying sizes and across diverse industries to gain an advantage in an extremely competitive environment… Read more. 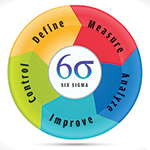 Lean Six Sigma management philosophy was born in a manufacturing sector from the realization that much time and resources are wasted on transportation, unnecessary movement, idle time, defects, over-processed goods, overproduction and inventory… Read more. Lean Six Sigma emerged in a manufacturing environment, but there is a growing trend of companies in the transactional industry implementing Lean Six Sigma practices. A wide variety of businesses including banks, insurance companies, hospitals… Read more. 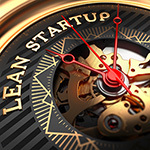 Inspired by the high efficiency of large lean companies, small- to medium-sized enterprises, including start-up companies, have been adopting Lean Six Sigma management principles in order to develop high value processes with minimal waste… Read more. One of the main challenges currently facing large established companies is maintaining a balance between achieving incremental product/service improvements with existing products/services for growing the current target market… Read more. 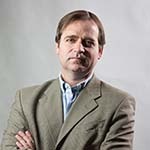 Today’s business leaders face a range of challenges from domestic and international competition to changing consumer needs and global economic turmoil. 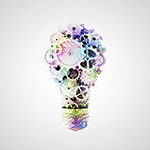 The demand for innovation, both on the shop floor and in the board room, is strong… Read more. The implementation of quality management system (QMS) standards is one way in which a company can improve their performance by reducing non-conformance issues. 9001:2015 is the latest version of international standards published by ISO, and it was developed in such a way as to allow ISO implementation with the company’s current QMS. In the latest edition of ISO, ‘risk-based thinking’ is a major focus in order to help companies maintain product and service conformance. With ISO, companies can develop the right processes and procedures to grow export sales and thus boost their position in the global market. Because global competition requires in-depth knowledge of the latest trends in products and services, it is essential for companies to have a highly skilled and knowledgeable workforce. The Yves Landry AIME Global grant can help innovative manufacturers in southern Ontario to train their employees on the implementation of a quality management software system. AIME Global can provide up to $50 thousand of non-repayable funding to southern-Ontario manufacturers to assist with such projects. Funding must be secured prior to project implementation, so if you are planning on investing in or upgrading your QMS, it is strongly recommended that you commence looking into AIME Global now. A while back, I posed about Lean Manufacturing Principles. Today I wanted to go a little bit more in depth with how you can prepare a Lean implementation plan. So, if it’s so difficult to implement, how can you create a successful plan? First, you need to remember that there two aspects that you need to focus on. The first is the actual hardware portion: the machinery, equipment, etc. The second is the human aspect. 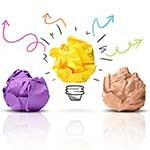 Just improving one of these aspects will not result in a successful lean implementation – you need both. Once you realize that, you can really start with your implementation plan. Firstly, you want to focus on everything that is absolutely necessary to run an effective system – this is where all of the big changes are made. Next, you want to build upon what you did when you made those big changes – this would include implementing the 5S system, for example. Lastly, you want to work on continuous improvement, where numerous small changes are constantly being made. Doesn’t sound too difficult, but it’s always more challenging to actually implement the plan than it is to make it. Remember that if you find something in your plan is not working as you would like it to, that your plan is not set in stone – if you find something isn’t working, then revisit that part of the plan. Is it feasible? Is there another way to get to your goals? What have you been doing for your lean implementation plan? We’ve spoken about Lean Manufacturing many times on our blog, and it’s a term that most people are familiar with. There are many different ways that lean manufacturing can be implemented in a business; Takt Time is one of the fundamental aspects of it. But what exactly is Takt Time? It can be used in all areas of business, but is more relevant in manufacturing – specifically in production lines. The basic definition of Takt Time is the maximum amount of time allowed per unit for production in order to meet customer demand. So, if there is a lot of demand for the unit, then your maximum allowed time to make the unit is very small, however, if there is not a lot of demand for the unit, the maximum allowed time to make it is a lot larger. To discover exactly what your Takt Time is, you would need to figure out the amount of time in total that you have to work on your order – remembering to take into account employee breaks, lunches, machine downtime, etc. – and divide it by how many units you need to produce (again taking into account the fact that there may be test parts and defective units). So how does Takt Time help you implement lean manufacturing? Simply, once you have Takt Time in place, you can look at your process and see what is inefficient and non-value-added, and decide from there what can be improved upon. Ways that this can be done include reducing idle time, set-up time and eliminating waste. One of the biggest benefits of Takt Time is that you will easily be able to see where any bottlenecks are in the production process and can quickly fix that. We’ve spoken a bit about continuous improvement on our blog, but we haven’t yet talked about WHY exactly it is important for manufacturers, and how exactly you can apply it to your business. 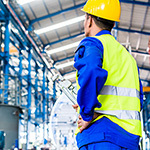 This process is important for manufacturers, especially in our economic time, because it can help us to cut costs, to produce higher quality products at a faster rate, to reduce the amount of waste and deficient products we produce, and to remain competitive with other companies (both on a national and global stage). Sounds like a great thing, doesn’t it? And there are many different ways in which you can apply continuous improvement in manufacturing, some of which are very successful and have become very popular. These include Kaizen, Just-in-Time and Lean manufacturing. 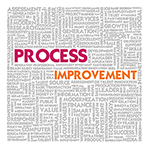 How are you applying continuous improvement in your business?